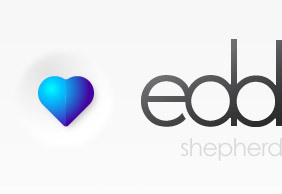 Welcome to the website of Australian designer, edd shepherd. edd has been involved in the design industry for 10 years or so after completing a Bachelor of Arts in Design at Curtin University. He began his career working for various design companies before heading out on his own and creating a small studio focusing on quality design & client satisfaction. Trained in illustration & graphics, edd has also moved into web design, using his visual skills to create eye catching & easy-to-use websites. Being able to produce all aspects of design in-house allows his clients to receive a streamlined and no-fuss service. edd’s friendly & approachable manner makes him a pleasure to work with; his genuine passion for design coupled with a keen eye for detail makes for a dynamic combination. For any questions, comments, or quote requests, please contact edd directly.